This model is perfect to have with you on your fishing trip so you can fillet your catch with ease. The short blade is simple to work with and helps you get close, while the convenient size and knife cover make it easy to keep in your rucksack or belt. You just need to cast off and wait for a bite. A short fillet knife with a blade made of cold rolled, Swedish, stainless steel. 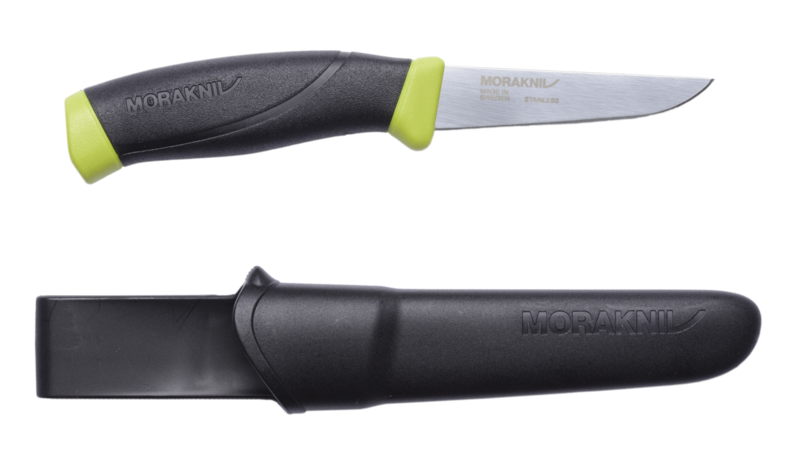 The combination of the blade and the rubber handle makes this an optimal knife for fishing when you need to be able to work safely and efficiently in damp environments. The patterned friction grip made of TPE rubber reduces the risk of slipping if your hands are wet. What’s more, rubber doesn’t conduct cold making the knife convenient to work with all year round.